The Adult Community Psychiatric Rehabilitation Center (CPRC) is designed to comprehensively meet the wellness needs of seriously mentally ill adults, age 18 and older, with disabilities in social role functioning and daily living skills. Individuals are accepted without regard to race, creed, national origin, gender, disability or sexual orientation. The clinical team works closely with person(s)-served in their home and a variety of community settings to provide a wide-range of counseling and case management services to promote recovery and wellness. Interventions are designed to help person(s)-served with chronic and persistent mental health disorders reduce psychiatric hospitalization and continue to live within the community. Caseworkers monitor all aspects of a person’s functioning and insure that services are in place to develop the individual’s self-sufficiency and independence. CPRC services are provided in Dunklin, Pemiscot, Butler, Ripley, Reynolds, Carter and Wayne counties. 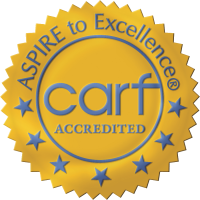 Family Counseling Center is also accredited by the Commission on Accreditation of Rehabilitation Facilities (CARF). Person(s)-served can meet with a mental health therapist as needed. Psychiatry services are routinely scheduled at 2-3 month intervals with emergency visits available if needed. Care Coordinators meet with person(s)-served weekly, biweekly or monthly depending on level of care required. Psychosocial Rehabilitation (day treatment) services are voluntary and available Monday through Friday. The Kennett CPR Center is located at 875 Highway VV in Kennett, Missouri. The business office is open Monday through Friday from 8:00am – 5:00pm and Clubhouse hours are from 9:00am – 3:30pm. The Poplar Bluff CPR Center is located at 3001 Warrior Lane in Poplar Bluff, Missouri. The business office is opened Monday through Friday from 8:00am – 5:00pm and Clubhouse hours are from 8:30am – 3:00pm. The Piedmont CPR Center is located at 306 North 2nd Street in Piedmont, Missouri. The business office is opened Monday through Friday 8:00am – 5:00pm and Clubhouse hours are from 9:00am – 3:00pm. All programs include the following services: Assessment and Evaluation Services; Crisis Intervention; Community Care Coordination; Consultation; Health Care Home; Medication Management; Individual Therapy; Enhanced Groups; Psychosocial Rehabilitation. The CPR Program in Kennett also offers a co-occurring disorders program for person(s)-served with addiction disorders. Person(s)-served can meet with a mental health therapist as needed. Psychiatry services are routinely scheduled at 2-3 month intervals with emergency visits available if needed. Community Care Coordinator’s meet with person(s)-served weekly, biweekly or monthly depending on level of care required. Psychosocial Rehabilitation (day treatment) services are voluntary and are available Monday through Friday. Person(s)-served are referred from various sources that include, but are not limited to: self and/or family; Division of Family Services; hospitals; community agencies; physicians; mental health agencies and Probation Officers. The Community Psychiatric Rehabilitation (CPR) Program accepts Private Healthcare Insurance, POS funds, Medicaid and individual fees. The person’s ability to pay is based on the Department of Mental Health sliding scale; fees are determined by family income and number of dependents. If person(s)-served have a monthly fee, it is collected upon admission and each month for the remainder of time he/she receives services in the program. The Community Psychiatric Rehabilitation (CPR) Program is a person-centered approach that emphasizes individual choices and needs; features flexible community-based services and supports; uses existing community resources and natural support systems; and promotes independence and the pursuit of meaningful living, working, learning, and leisure-time activities in normal community settings. The program provides an array of key services to persons with severe, disabling mental illnesses. The CPR Program offers interventions designed to help person(s)-served with chronic and persistent mental health disorders, to reduce psychiatric hospitalizations, and to continue to live within the community. Community Support services, consists of specific activities in collaboration with, or on behalf of the person(s)-served, and delivered in accordance with the person-centered care plan. Services are provided to maximize an individual’s immediate and continued community functioning while achieving and sustaining recovery/resiliency from mental illness and/or substance use disorders. These services are delivered in an amount and scope defined by each individual care. Services are provided by a qualified Care Coordinator (CC) and focus on the four dimensions of recovery: Health, Home, Purpose and Community. CC’s work with person(s)-served to help develop skills, access resources and learn to manage illness in order to be successful in the living, working, learning and social environments of their choice. CC’s teach, model and practice skills with person(s)-served in order to increase self-sufficiency and independence. 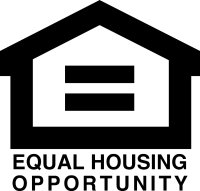 CC’s have a working knowledge of health care, social services, employment, safe housing, recreational opportunities, transportation and other services and systems available in the community. CC”s also provide educational services regarding various daily living skills such as budgeting, meal planning and personal care. Services are provided in any setting that allows the best access to services. Peer Support services are person-centered with a recovery focus. Services allow individuals the opportunity to direct their own recovery and advocacy processes. Peer support promotes skills for coping with and managing symptoms while encouraging the use of natural supports and enhancement of community living skills. Services are provided by a Certified Missouri Peer Specialist. Psychosocial Rehabilitation (PSR) Program is for individuals with a history of serious mental illness that can benefit for additional support services. The activities of the PSR Program focus on the development of behaviors and abilities that will allow the person(s)-served to return to activities that are age appropriate and based on assessed need; development of behaviors and abilities that allow the person(s)-served to participate in community living; prevention of extended hospitalizations; establish and improve an individual’s desire or motivation to maximize independence; development of a personal support system and provision of meaningful activity which is appropriate to the age and interest of the person(s)-served. 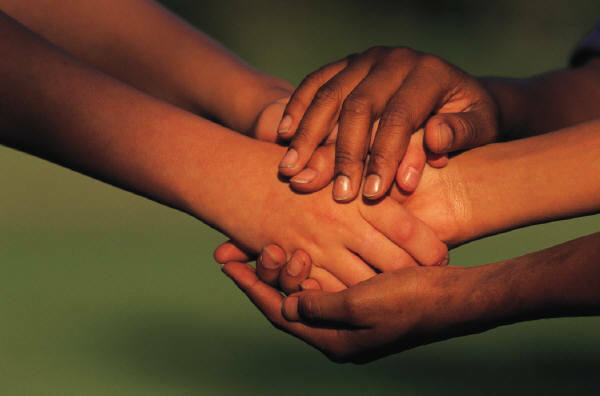 The PSR program may provide illness management and recovery services that promote physical and mental wellness, well-being, self-direction, personal empowerment, respect and responsibility in individual and group settings. Group professional PSR may be provided utilizing skills based approach to address identified behavioral problems and functional deficits relating to a mental disorder that interferes with an individual’s personal, family or community adjustment. Individualized mental health interventions using skills based approach to address identified behavioral problems and functional deficits relating to a mental disorder that interferes with an individual’s personal, family, or community adjustment. Services must be documented according to the requirements set forth in 9 CSR 30-4.035 8 (B). Group mental health interventions using a skills based approach to address identified behavioral problems and functional deficits relating to a mental disorder that interferes with an individual’s personal, family, or community adjustment. Maximum group size is one (1) professional to eight (8) person(s)-served. Services must be documented according to the requirements set forth in 9 CSR 30-4.035 8 (B). Integrated Dual Disorders Treatment (IDDT) services are provided to those identified as having both a substance use diagnosis and a mental health diagnosis. Co-occurring issues are integrated into the person centered care plan and are provided by qualified personnel. Co-Occurring Individual Counseling is provided resolve problems related to the mental disorders and substance use disorders that interfere with functioning. Co-Occurring Group Counseling is designed to promote individual self-understanding, self-esteem, and resolution of personal problems through personal disclosure and interpersonal interaction among group members. Group size shall not exceed ten (10) individuals. Psychiatrists/PMHNP’s assume the responsibility for the medication aspects of mental health care, including: Psychiatric evaluations, medication management, review of complex cases where physical and mental health issues intersect, organicity, seizure disorders, psychosomatic disorders, and other medical and psychiatric related disorders. FCC Behavioral Health is not a doctor-only facility; therefore, it is our policy the person(s)-served is receiving additional treatment services.